Rosemead simply has it all: in-depth psychological training, a biblical framework and an orientation to helping students grow as individuals." Rosemead provides you with a firm foundation of Scripture and the great historic traditions of the Christian church. 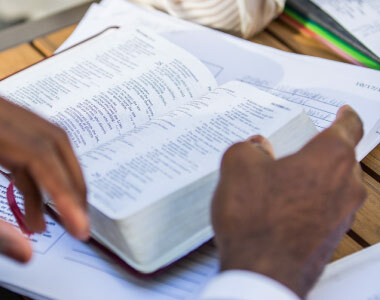 We believe that Scripture provides the greatest insight into the human condition, which is why our doctoral programs include 31 credits of theology courses and integration seminars into our interdisciplinary study. Currently, Rosemead offers more integration seminars than any school in the nation. These theology and integration classes, taught by faculty with psychology and theology degrees, will provide you with necessary cross-disciplinary teaching in both of these areas. Rosemead operates the Institute for Research on Psychology and Spirituality, which examines integration paradigms and how integration is applied in clinics, churches and graduate programs. For over 40 years, the Rosemead-produced Journal of Psychology and Theology has been a leading source of research and scholarship on — as well as one of the few journals dedicated to — the integration of psychology and theology. These specialized classes — taught by Christian psychologists, philosophers, and theologians — are designed to enhance your understanding of how your faith and practice work together. Rosemead offers a high-quality APA-accredited education. You’ll be equipped with the solid academic foundation needed to interact intelligently and serve effectively in your future career. Whether you plan to teach, research, practice, minister or counsel, you'll benefit from a number of key attributes. Rosemead has held accreditation from the American Psychological Association (APA) since 1980. U.S. News & World Report ranks Biola University as a first-tier national university. Rosemead's highly credentialed faculty has centuries of combined experience in professional clinical work, teaching, counseling and ministry. Its members have authored several seminal books over the past 30 years and are widely published in scholarly and popular journals. Rosemead offers both the practitioner-based Psy.D. and the research-based Ph.D. in clinical psychology. Such training provides the best of both models and results in a scholarly synergism that is rare in the university context. Real-world experience is essential to your clinical skill development as a psychologist. At Rosemead, your hands-on training begins early and builds throughout your doctoral program. This training culminates in a full-time, year-long internship in your fifth year of study. All of your Rosemead training prepares you to interact with and work in the mental health community while maintaining a Christian worldview. Rosemead operates two counseling centers in Los Angeles and Orange counties, to serve the needs of our communities. 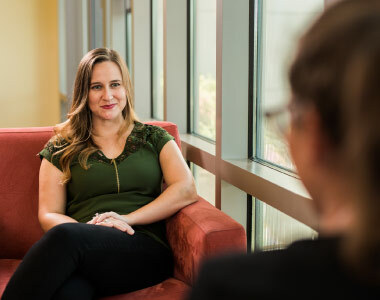 Your participation at the Biola Counseling Center will take you beyond the classroom beginning in your first year of study. Rosemead's unique clinical program will give you the extensive practical experience you need to qualify for some of the nation's most competitive internship opportunities. Rosemead maintains a high placement rate in APA-approved internships. All students complete practicum training with inpatient and outpatient agencies. These agencies provide you with opportunities to work with diverse populations — adults, children, individuals, groups and families from various cultures and socioeconomic backgrounds — allowing you to gain a breadth of clinical experiences in professional settings. These courses, taken concurrently with theory courses, allow you to practice under supervision in the psychotherapy modalities you are learning. Incoming students are partnered with current students to address the transitional challenges of joining a new community. Rosemead offers a distinct setting where all faculty, staff and students are professing Christians. Rosemead offers a weekly chapel for students, staff and faculty, along with other events and informal activities that are designed to enhance your spiritual formation. Spouses of Rosemead students meet regularly to foster friendship and offer support. One of the highest rated aspects of Rosemead's program by alumni is the requirement that students participate in their own didactic therapy experience. Other opportunities for growth are participation in either couples therapy, spiritual direction or group psychotherapy.